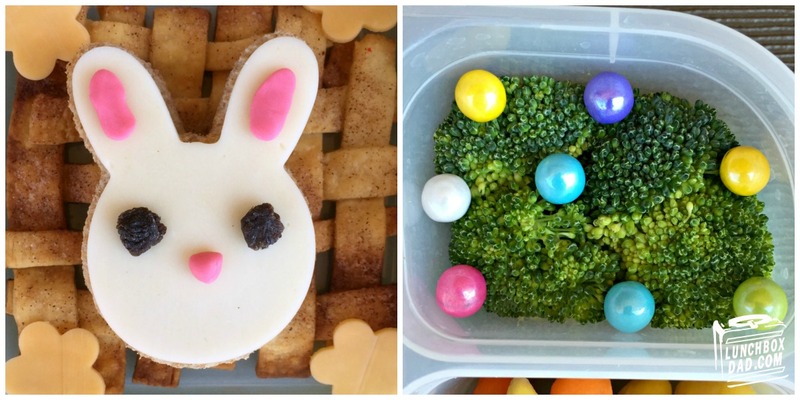 If you want to make a quick and fun Easter Bunny lunch for your kids, here is your chance! 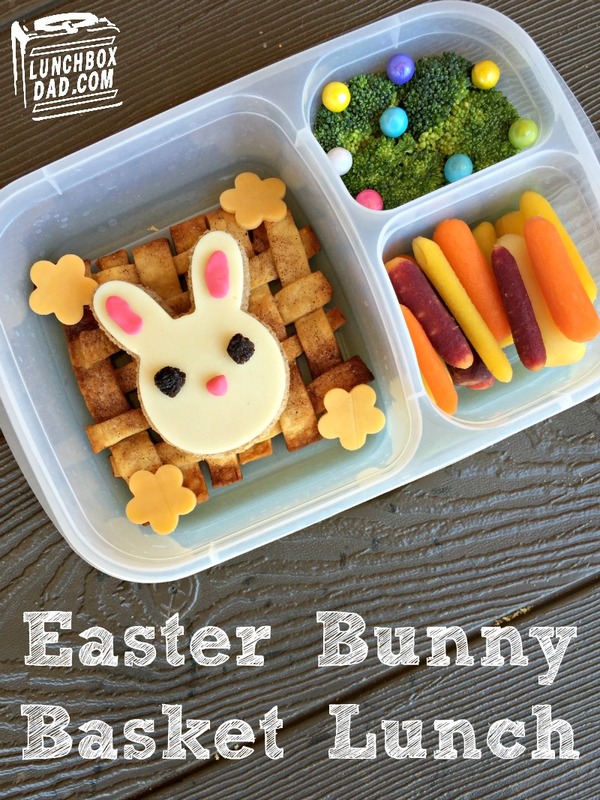 This lunch is made in an Easy Lunch Boxes container and even has an Easter basket background. All you need is a cookie cutter and you are on your way. My whole family loves Easter in our house. This year will be different because we are away from extended family, but we will still have fun. This lunch will be the perfect addition to the week to get your kids ready for the holiday. Remember to follow me on all my social channels so you don't miss out on any of the recipes, humor, articles, and other fantastic parenting resources. ready made pie crust, broccoli, small candy balls, multi colored carrot sticks. 1. Cut pie crust into strips and weave together into basket pattern. Bake for 8-10 minutes making sure not to burn it. Optional: Brush with butter and a very small amount of cinnamon and sugar. Let cool. 2. 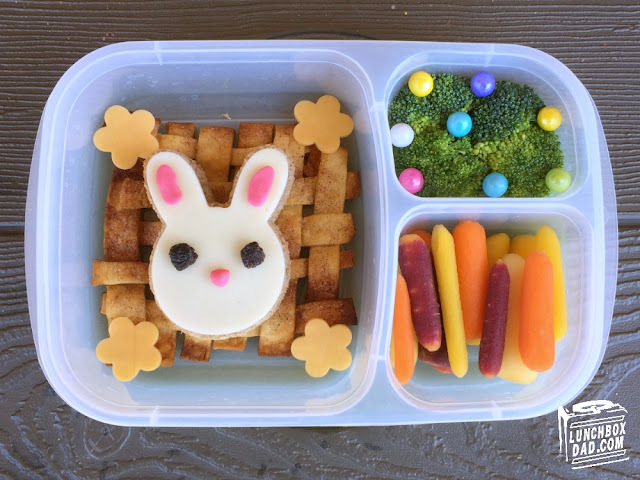 Use cookie cutter on bread, cheese, and meat to make bunny shaped sandwich. Assemble ingredients. Form edible modeling dough into facial features as shown. Stick on dough and raisins with toothpicks. 3. Use small flower cutter on cheddar cheese Place pie crust basket, bunny sandwich, and cheese flowers where shown. 4. In one side dish place broccoli. Drop on small candies so it looks like Easter eggs on the grass. 5. Arrange multicolored carrot sticks in second side dish. You can find these in many grocery stores.